A very weak attempt at weaving a story using old and new characters and inculcating adventure trip as a backdrop. The boldness and the excitement is missing in the first half. The second part has some fun elements in it. The lead protagonists are neglected way too much in the story. The new ones like Mitali Roy have been portrayed very well. The school saga continues sans school this time but lack of curiosity and no freshness in the writing style makes it a dull book. Hatke compare to both prequelsThis is very different from the series books.writing is good.story is also good.But not about school n backbanchers.Its about adventure n all. i have mixed feelings very mixed feelings about this book. I didn't like the story. actually there not much story in this book. there are many lose ends. i didn't like the desai character. it do not add much to the overall series.but all said, i really enjoyed reading it. there are many flaws in this book . but while reading it you will not get bored. Also its very short so you can read it in like 2-3 hours.if you have just finished a large book, or if are in a reading slump i will recommend reading it . it like those shows on channel v. its not great but you will not get bored either.ps: i love urvashi character, i hope next book focus more on her. 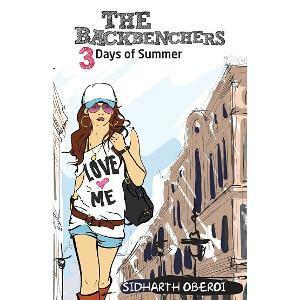 Last part of Backbenchers trilogy .. So this time our group is out of school and in the jungle to attend a photography workshop with a famed photographer. Same light read.. It was a nice series. The dialogues surprisingly improved a lot. The plot was quite silly and predictable. However, I found it better than the previous books.